We are working on a new web site area dealing with EVERY Park located in Southeastern Michigan. State parks, Metro Parks, County Parks, and private Nature Preserves. We have over 120 Parks listed with pictures, reviews and maps. 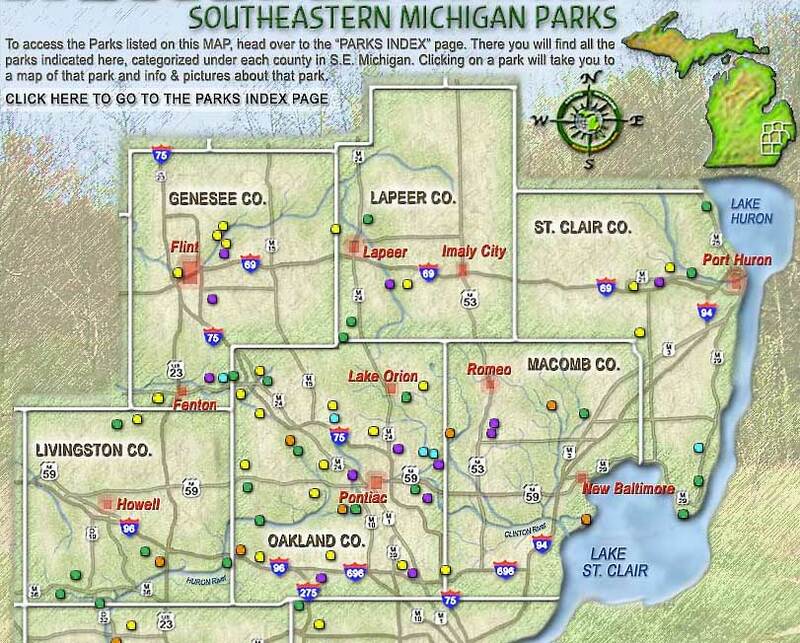 Check out the start of this new SOUTHEASTERN MICHIGAN PARKS section of the web site. You can also visit our Free Parks Maps page on the HM web site too. There you will find dozens of detailed, colored and GPSed maps of various parks in both Southeastern Michigan and through out the lower peninsula as well. Visit the PARKS MAPS page of the web site.